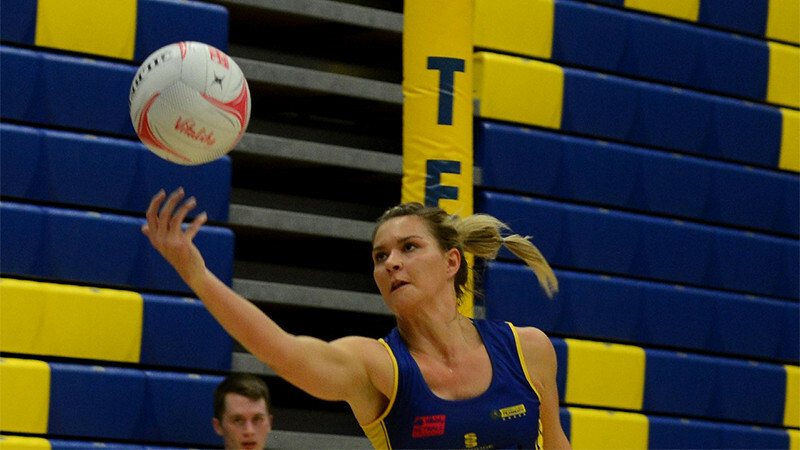 South African national netball goal-shooter Lenize Potgieter shares her experience of training with Team Bath and competing with top athletes around the world. I am studying Sport Science at the University of Pretoria. It is my final year and I would like to become either a strength and conditioning coach or personal trainer. I chose to spend time at Bath because of its legacy. I looked at its netball history and I was highly impressed with all the championship titles. Bath is such a beautiful and historical city, quiet and not too industrialised - just the way I like it. I have been coached by the best from Team Bath Netball - Jess Thirlby, Anna Stembridge and Emily Perry. I will definitely be taking back netball knowledge in abundance. Emily has so much knowledge to share with the group after working with England players, Jess was part of the championship-winning team in previous years and Anna coached the England side. Each of them brings a special component to training sessions that develops different areas of my netball. Playing in the Superleague opens up a lot of doors for me by being seen by international coaches. Being 'alone' in this foreign country for five months definitely made me more independent. I taught myself to budget and work wisely with my money. I definitely think I can influence younger netball players, not only in South Africa but also globally. We as professionals have the responsibility to encourage and motivate youngsters to keep fit, never give up, eat healthy and to respect themselves, their teammates, their coaching staff and their opponents. There's always something new to learn, it doesn't matter how long you've been playing. So, every little thing I learn here helps and I hope that I will be able to help people back home with everything I've learnt. I have definitely enjoyed myself here, even more than I thought I would. The Team Bath family have been so welcoming to me and Karla Mostert, it made everything worthwhile. We have the best services available to us here and I am very grateful to have had a chance to spend time in such an outstanding facility. It is really amazing to see just how big this place is and how many facilities are available on site – including physios, masseuses, strength and conditioning coaches. We are very privileged to be able to train and play here. My time at Bath has been a wonderful experience and I would definitely recommend this place for sports and education. I can't wait to tell my friends and family in South Africa how beautiful Bath is. I have also made a lot of friendships here and I’ll be sad to leave them behind but I know we will be staying in touch.